This article is a short summary of Pokémon Channel. 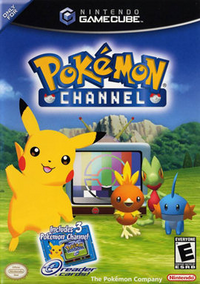 Pokémon Channel is a spin-off game of the Pokémon series released for the Nintendo GameCube in 2003 and 2004. This page was last edited on 17 September 2013, at 01:11.